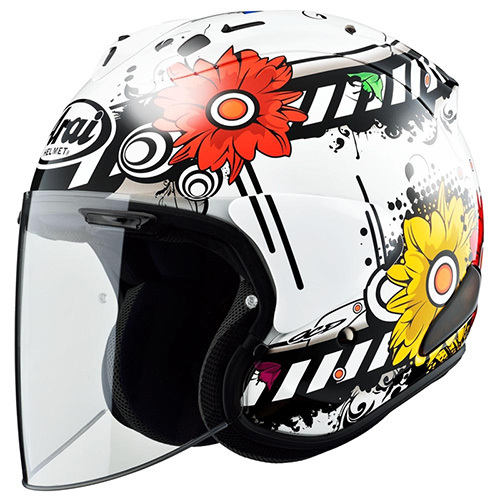 Brand New Arai VZ-Ram Helmet "Blossom" Japanese Model. Arai VZ-Ram, the best open face helmet out there, come with type-12 diffuser, VAS shield system. Snell M approved. Pinlock sheet, pro-shade system sold separately. Available in Small(55-56cm / 22" to 22 1/2") Medium(57-58cm / 22 3/8" to 22 3/4") Large(59-60cm / 23 1/8" to 23 1/2") X-Large(61-62cm / 24" to 24 3/8").